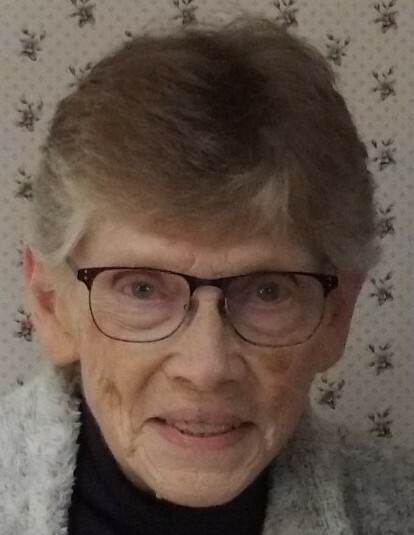 Marilyn Sue Crisler, age 82, of Bellefontaine, Ohio passed away at 8:10 P.M. Wednesday, April 3, 2019 at Logan Acres Senior Community in Bellefontaine. She was born in Bellefontaine August 27, 1936, to the late Harry W. and Elizabeth (Buchenroth) Messner. On August 20, 1955, she married Welman D. Crisler and he preceded her in death April 7, 2009. In addition to her parents and husband, Marilyn was preceded in death by a sister, Ann Klemme and three brothers, George, Tom and David Messner. She is survived by five children, Teresa (Wes) Waits of Tacoma, Washington, Rebecca Sue and Jennifer J. Crisler, both of Bellefontaine, Charles (Rebecca Ann) Crisler of Albuquerque, New Mexico, and Samuel (Laurie) Crisler of Stafford, Virginia; five grandchildren, Samantha, Nathan (Allysa), Benjamin, Sarah, and William Crisler; five step-grandchildren, Andrew and Bethany Waits, Candace (Sean) Soran, Sarah and Tommy Genovese; two step-great granddaughters, Morgan and Madeline Soran; a brother, Ted (Sally) Messner of Columbus, Ohio; dear friends, Steve, Janet, Jessica, and Parker Grothaus and many nieces, nephews and friends. Marilyn was a 1954 graduate of Bellefontaine High School and then worked at Bellefontaine National and Huntington Banks. She was a wonderful mother, homemaker and seamstress. Marilyn was a member of the First United Presbyterian Church in Bellefontaine where she served as a Deacon. She loved to travel and spend time with her family and friends. The family will receive friends from 2 to 4 P.M. Tuesday, April 9, 2019 at the Eichholtz Daring & Sanford Funeral Home and Cremation Center in Bellefontaine, where Pastors Jim Ellington and Steve Merrin will officiate a memorial service beginning at 4:00 P.M.
A private burial will be held at the Bellefontaine Cemetery.